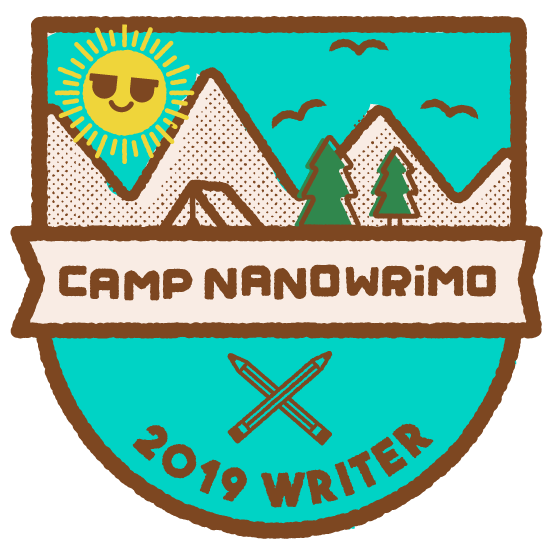 Camp NaNoWriMo April 2019 is open for business. My April Fools Day begins with medical appointments (hoping I still have a job afterward) and… awaiting my Camp Nanowrimo cabin assignment. While decidedly less scenic and magical than last year’s Higlights Foundation workshop, the price and timing are right on this idyllic writer’s retreat, smack dab in the middle of your crazy life. Those who know me personally, know that my life’s particular brand of crazy often means that even a truly necessary sick day isn’t well-tolerated. Following a sad start to my March, a reminder that we don’t have all the time we think we do, I vowed to spend Lent writing 500 words a day. It’s a reach given my energy levels, time constraints, etc. Let’s just say I’m hoping my soul’s immortal fate isn’t pegged to my success in #Lent2019. But a reminder that I’m sort of on “stolen time”” is a reminder to always strive for better. It’s the least I can do since I got lucky. Unpopular opinion alert: The deeper I get into the writing world, the more it seems maladjusted dilettantes may have given NaNoWriMo, and in fact possibly book writing as a whole, a bad name. There’s nothing wrong with wanting to write a book just for yourself. My late cousin K wrote several that, honoring her intentions and password-protected documents, nobody will ever read. Whatever her novels were, they worked for her, and that’s great. However, if what you want is to get published, read the bottom of that poster again a few dozen times. Don’t forget the Now What months – while less glamorous and much less buzzed-about, those are keys in the process. English really needs words to distinguish “more-angst-than-forward-momentum guy in your MFA personified” writers from “dammit I will learn this business and get this MS published” writers. We also need a word that expresses “I love you but strictly as a friend” but I digress. I would have done NaNoWriMo in November 2018. In fact I may have signed up for it; I don’t remember. But in actuality, I was frantically plowing through edits for an R&R by a supercool agent. I’m not starting Camp NaNoWriMo with just a spark and a case of energy drinks either. I have a… document… of about 21K words that is somewhere between an outline and a first draft. My Camp NaNoWriMo Dashboard on April 1, 2019. It let me start at non-zero words but… 21,056 per day average? It will be tough to keep that up! 🙂 This morning has been more like 400. My plan is to meet new people – I’ve requested a cabin full of Kidlit writers – to use as accountability partners to get this stuff done. Who else is doing Camp NaNoWriMo?